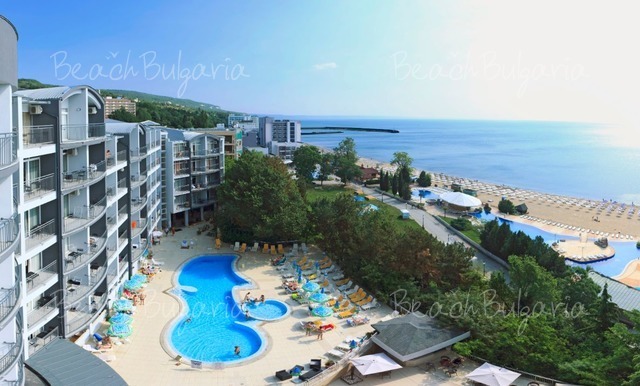 Luna hotel is situated on a picturesque bay, few steps away from the sea, at the northern part of Golden Sands resort. The hotel features 246 double rooms, 13 large double rooms and 6 one-bedroom suites. The guestrooms offer telephone. Air-conditioning, satellite/cable TV, fridge, minibar, work desk, bathroom with bathtub, bathrobes and hairdryer, balcony. The elegant Main Restaurant offers stylish sea-view hall with a capacity for 280 seats. The restaurant serves local and international dishes. 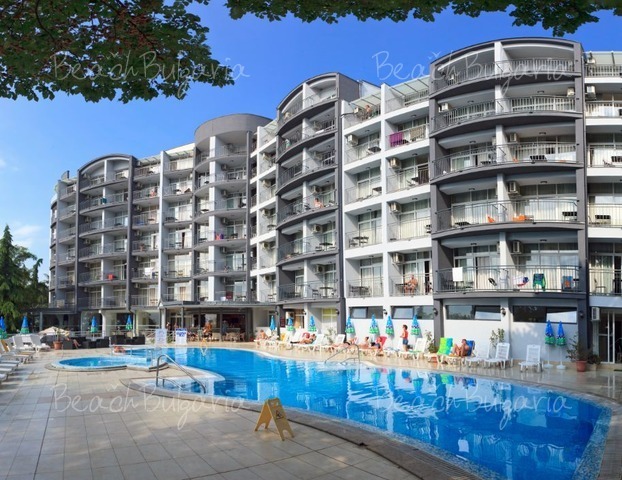 At guests' disposal are: lobby bar, barbecue, British bar - terrace, nightclub. The SPA center offers curative therapies, more than 50 procedures, massages, body-treatments, sauna etc., as well as indoor and outdoor swimming pools, fitness room or sauna. The hotel offers equipped meeting hall for conferences and seminars with about 80 seats. * The prices are in EUR, per night, per room, breakfast, dinner and swimming pool, sunbeds, parasole and fitness included. * Cancellations can be made free of charge providing details of this are received at least 7 days prior to check-in time on the day of arrival and 14 days during 01 July - 29 August - cancellations made after this period will incur a fee equivalent to the cost of 3 night's accommodation. We have had a wonderful vaccation at Luna Hotel. I´ts a lovely hotel, with great service, very nice staff,and the food is really great to,and we had a beutiful view of the sea. We will come back as soon as we have the time and money,we were surprised to se what high class it was. 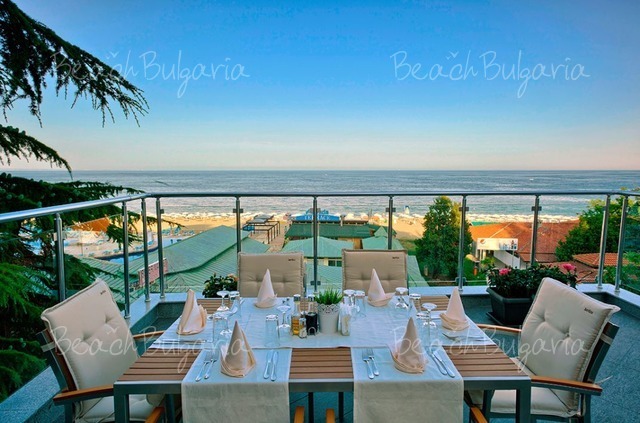 Four times we have spend our holiday in wonderfull Bulgaria, and this year will be time nr. 5. For the second time we are going to stay on the Luna hotel, and we do hope, that we will be placed in room 313, as last year. I will be likke coming home. Looking foreward to see you all on the Luna hotel on the 25. of august. Nice ja high quality hotell. We were there 2 weeks at june 2005. Breakfast ja dinner were very good and lot of different sorts of food. Our room was big enough,good treated ja nice wiew to Black Sea. Lunas swimming pool was also quite new and also suitable for my 6 year old son. People and staff at Luna were nice and friendly. We will came back to Luna at next summer. I reccomend also to families. Beach is so near (50 meters). we had good time at this hotel is very clean and tidy every one was helpful at all times food was very good the only thing to be aware of is the sixty steps to the beachfront ,shops bar,etc,but for this it is a great hotel and we would go back again . there was eight of us including 2 children under 8 years they loved it and can not wait to go back we also had 4 over 20's who had plenty to do and me and my wife are in our 40's and we had plenty for us to do . 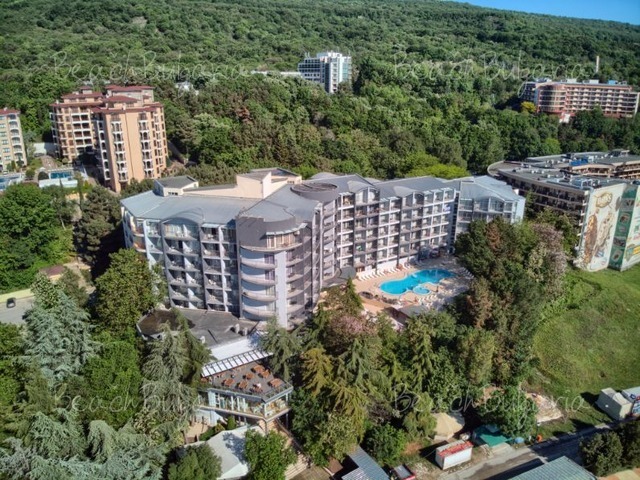 we recommend a taxi driver nicknamed ace for group bookings from the hotel front into varna etc he does good deals and speaks good english .the waiters also spoke good english and were very helpful especially georgi petrov. Please, post a comment on Luna Hotel.